One of the UK’s most exciting and dynamic vocal talents, there’s little the dexterous Youngman (Simon Smith) hasn’t achieved success in, with a career only just beginning to bloom. An artist with more strings to his bow than many veteran players in the business, Youngman has blazed fire as a vocalist across the drum’n’bass, R&B and bassline scenes, extended his creative and entrepreneurial skills by designing his own successful clothing range – Peng People – and spearheaded a new education scheme Music & Life Workshops. Life is certainly hectic for this “young man”, but it’s just the way he likes it. Indeed for Youngman, you’re only confined by your imagination when it comes to artistic endeavors. It’s a mantra instilled in him since a young age and hardly surprising when you consider his father is none other than the legendary drum & bass DJ/Producer Simon ‘Bassline’ Smith. As a singer, Youngman has been flexing his prized pipes since the age of 5, and performing professionally since the age of 16, having turned his back on a promising DJing career to focus on exhibiting his remarkable vocal abilities. No one could argue his decision hasn’t paid dividends. In 2007, Youngman’s career took a further leap forward when he relocated to London from his hometown of Derby. Juggling a Business Management course at the University of London and an intense production schedule, he cemented his status as a firestarting MC in the drum’n’bass scene with his own self-titled EP on Bryan G’s Chronic Records, along with the king-sized ‘Body Pump’ completed with Drumsound & Bassline Smith. The latter yielded massive industry support and were heavily rotated by Radio 1’s Annie Mac and Zane Lowe. At the same time, the multi-faceted vocalist was pushing all the right buttons in the bassline scene, as one of the genre’s pioneering spitters. Along with playing the scene’s biggest events, including Sily City, Bassline Heaven and Movement, Youngman was knocking out production winners. Enter the belter ‘They Call It Bassline’ completed with Wynn & Smith, that went on to feature on several of year’s biggest compilation releases, including Ministry Of Sound’s ‘Garage Classics’ and All Around The World’s ‘Addicted To Bassline’. 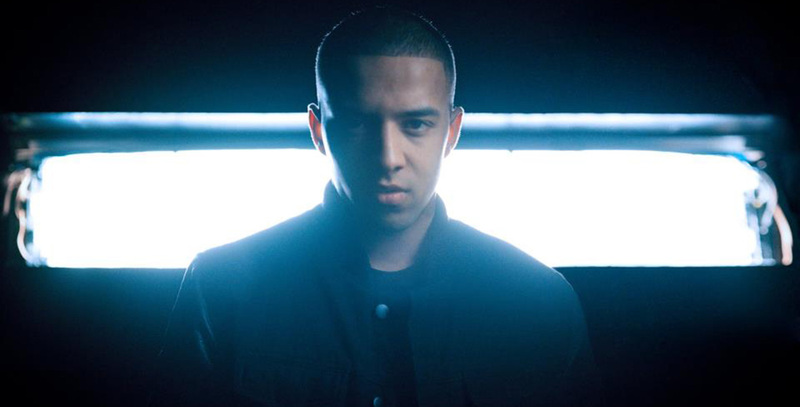 With the hype continuing to build, Youngman collaborated with BBC 1xtra’s Crissy Criss on their debut album ‘Give You The World’ released in Oct 2010 with the lead single ‘Kick Snare/Pimp Game’ gaining massive support from the likes of Skream, Benga, Mista Jam, Caspa, Rusko, Chase & Status, Adam F, among others. What ‘Kick Snare’ also represents is Youngman’s first major impact on the dubstep scene. The track shot to no.1 on numerous charts and already looks set to be one of the genre’s biggest tracks of the year. No surprise that Youngman is now a marked man in the dubstep scene. Just as skilled in the live domain, as he is in the studio, Youngman was voted runner up in the 2008 Drum and Bass Awards in the ‘Best Breakthrough MC’ category,having proved his performance mettle over the course of the last 5 years. Having toured throughout Europe and the UK, he’s performed at the likes of Fabric and Ministry Of Sound as well as some of the world’s biggest festivals, including Budapest’s Sziget festival, Urban Art Forms (Austria) Creamfields (Liverpool) Nocturnal (Los Angeles) and the Belgian festival, Tommorowland. 2010 saw Youngman link with Magnetic Man and dubstep don Benga in both the studio and live domain and signed to Shy FX’s mighty Digital Soundboy imprint. Now Benga’s choice MC for all worldwide tour dates, the duo have toured relentlessly over the last 12 months and recently headlined the Radio 1 In New Music We Trust event in Sheffield. Benga has also produced the lion share of his forthcoming debut album ‘Me & My Music’ which also features collaborations with Skream, Breakage, Kutz and more. The first ‘street’ single ‘Ho/One & Only’ was an instant smash across the UK underground, becoming Mista Jam’s ‘Jam Hot single’ and gaining massive support across the dubstep community. 2011 looks set to be the year Youngman breaks through. With his next single ‘Tear It Out/I Warned Ya’ (both produced by Benga) set for release and a touring diary busrting at the seams, keep you eyes and ears pealed. Youngman has well and truly landed.